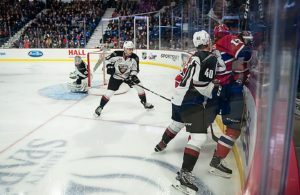 Making it past the first round of the playoffs was the goal from the start of the season for the Vancouver Giants, given the fact they were under new GM Barclay Parnetta. From the start he (Barclay) pulled no punches that his focus was placed on having a winning team once again. 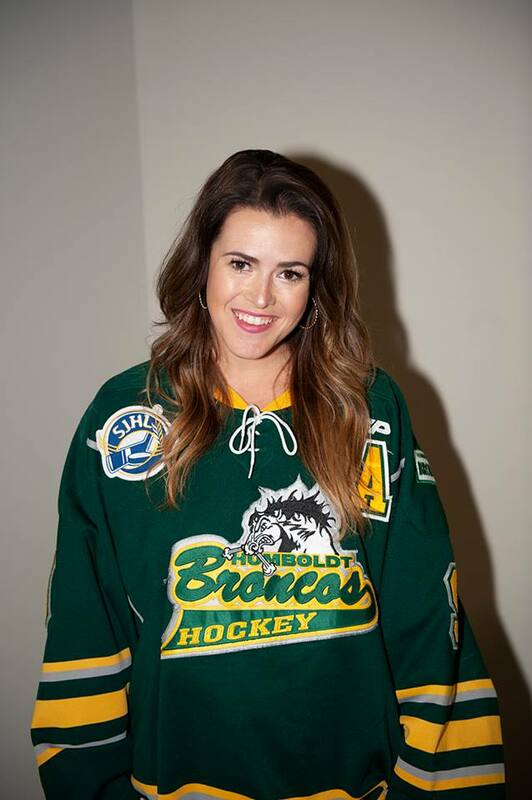 First order of business was to hire a coach that understood what it takes to assemble a winning squad and as quick as you can say Giants, he announced Michael Dyck (49) as the new bench boss. He’s no stranger to the organization as he spent three seasons with the G-men (2002-2005) as Assistant Coach followed by another three as Scout (2009) and Assistant Coach (2010-2012), so he’s no stranger to the hockey world. 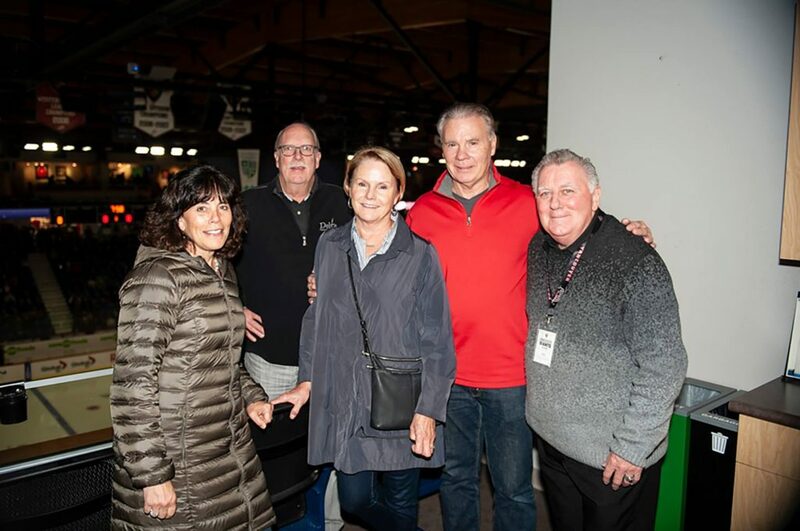 Assembling a team is no easy task, but they managed to get the players to buy into the system and from there Giant history continues to be made. 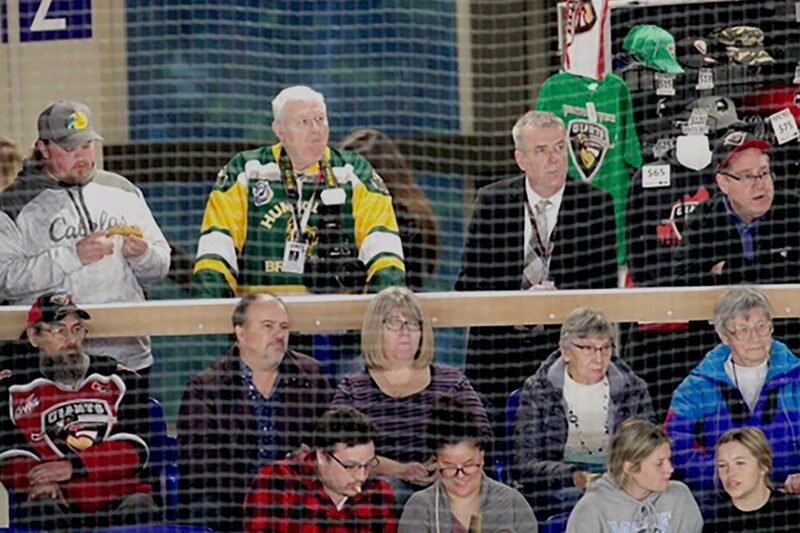 This game had the support of the City of Delta Mayor as well as Delta South MLA Ian Paton who were showing support for the team based out of the Ladner Leisure Centre. 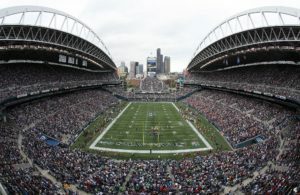 Making it past the first round was no easy task, but they managed to pull out a 4-2 series win over Seattle advancing them to round 2 against the Royals. Under the guidance of Goalie Coach Paul Fricker we have seen both “tenders” make vast improvements in their game, now alternating between the pipes for the games. 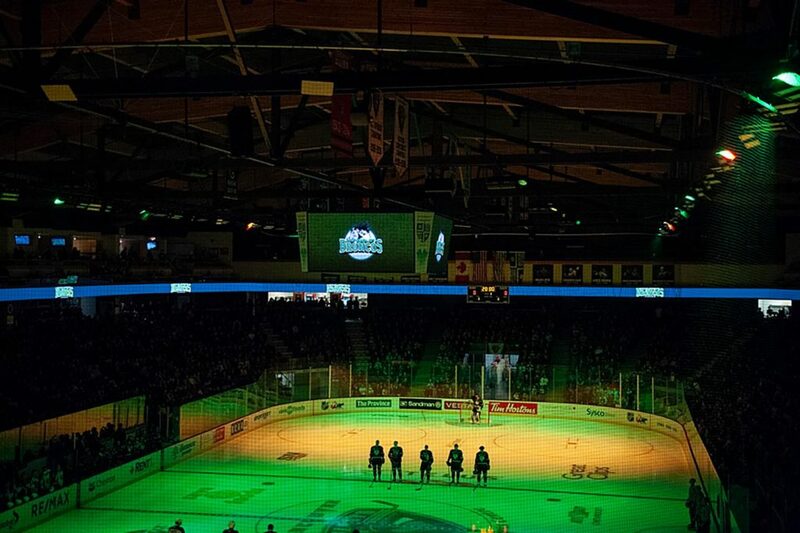 While the pressure was on the Giants they managed to advance to the second round taking games one and two in front of a capacity sell-out crowd on home ice at the Langley Events Centre. Game one saw the Giants dominated in the shot department limiting the Royals to 15 shots on Brandon Manitoba’s Trent Miner, while Griffin Outhouse was peppered with 27 shots allowing only 2 through 60 minutes. Game two saw the Giants start North Van’s David Tendeck who was only tested 10 times allowing one, while Griffin Outhouse was hammered with 39 shots allowing two through the 63:29 minutes played. 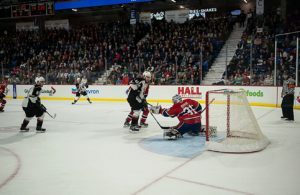 The Vancouver Giants got the game winning goal from Tristen Nielsen at 3:39 of O/T defeating the Royals (2-1) grabbing a 2-0 series lead in the semi-final series in the Western Conference. 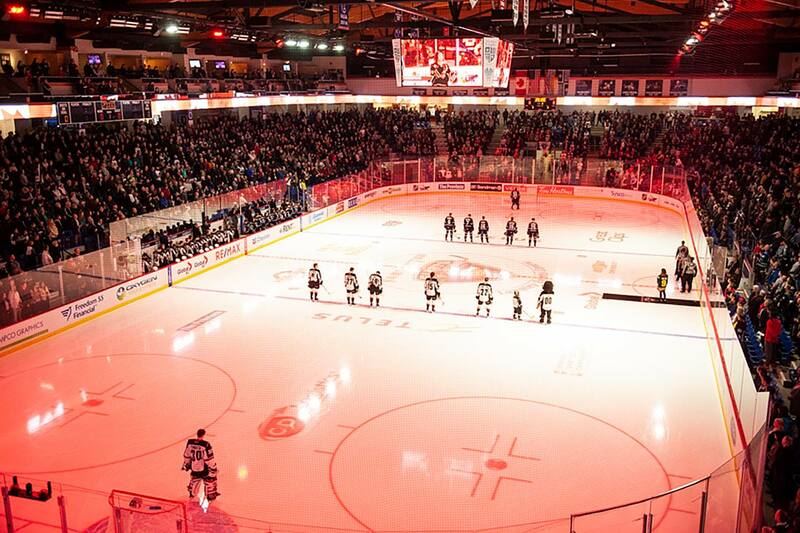 The G-men again played to a sell-out crowd (4,586) fans at the LEC with the series now shifting to Victoria for games 3 and 4 on Tuesday and Thursday respectfully. The opening period was scoreless with the Giants controlling the tempo of the game while playing solid outstanding “D” hemming the Royals in their zone with each team taking two minors with both teams exceptional PK. After regulation time the G-men held a 36-10 edge in shots with Outhouse continuing to stymie the Giants attack, while the Royals were unable to get any shots on the G-men. The Giants outshot Victoria by a 39-10 margin through the 123 minutes played that has Vancouver holding a 67-25 edge in shots, all against Griffin Outhouse. Vancouver’s goalies David Tendeck and Trent Miner combined through the first two games have combined for 24 saves on the Royals 25 shots for a combined .960 save pct. in the series. Special “Thanks” to Laird Allan the official photographer for Sportswave, who is set up for his next shot.